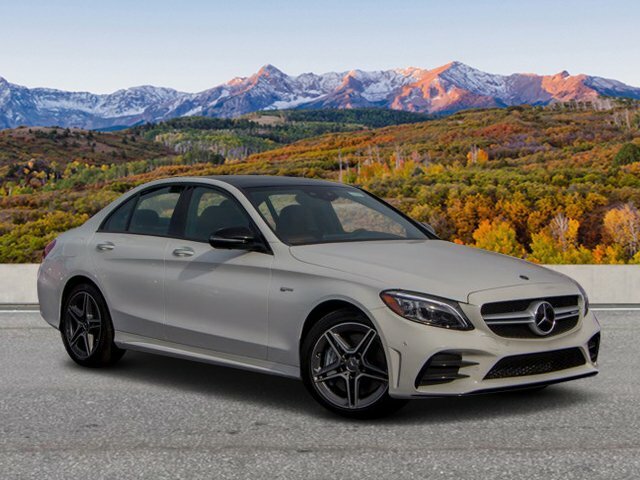 Only 4 AMG® C 43 Sedan models left in stock! 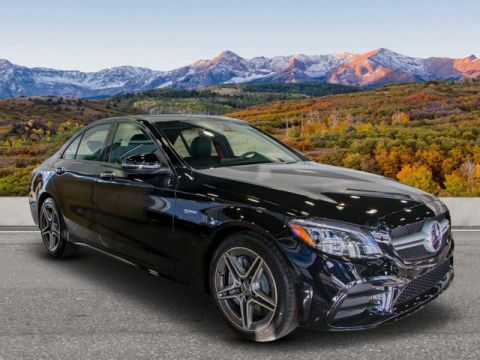 Sunroof, Heated Leather Seats, NAV, Full-Time All-Wheel Drive, Power Liftgate, Satellite Radio, Turbo, MULTIMEDIA PACKAGE, HEATED & VENTILATED FRONT SEATS, SADDLE BROWN/BLACK, LEATHER UPHOLSTER... EXTERIOR LIGHTING PACKAGE, DRIVER ASSISTANCE PACKAGE, Alloy Wheels, PANORAMA ROOF, PARKING ASSISTANCE PACKAGE. 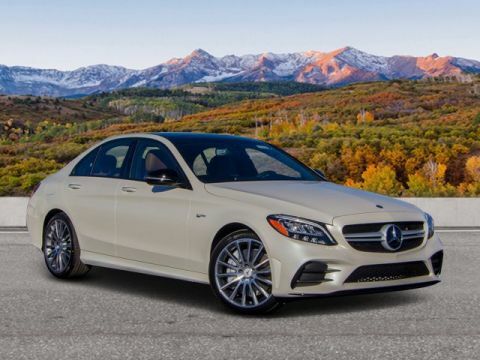 AMG® C 43 trim, Polar White exterior and Saddle Brown/Black interior. READ MORE! Full-Time All-Wheel Drive, Power Liftgate, Turbocharged, Satellite Radio, iPod/MP3 Input, Onboard Communications System, Aluminum Wheels, Remote Engine Start, Dual Zone A/C, Hands-Free Liftgate, Smart Device Integration, Brake Actuated Limited Slip Differential, WiFi Hotspot. 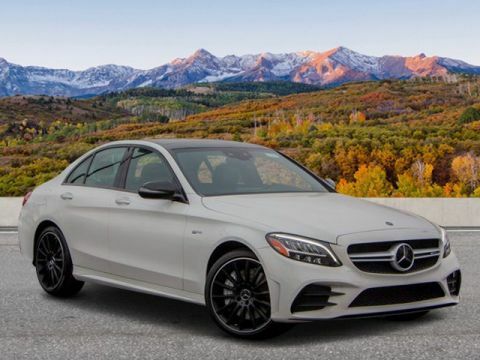 Rear Spoiler, Remote Trunk Release, Keyless Entry, Child Safety Locks, Steering Wheel Controls. MULTIMEDIA PACKAGE COMAND® Navigation w/Voice Control, Live Traffic, Touchpad, Navigation Map Updates for First 3 Years, DRIVER ASSISTANCE PACKAGE Speed Limit Assist, Driver Assistance Package, Active Lane Change Assist, Active Distance Assist DISTRONIC®, Route-Based Speed Adaptation, SADDLE BROWN/BLACK, LEATHER UPHOLSTERY, PARKING ASSISTANCE PACKAGE Parking Package, Surround View System, Active Parking Assist, PANORAMA ROOF, EXTERIOR LIGHTING PACKAGE Adaptive Highbeam Assist, LED Intelligent Light System, active curve illumination and cornering lights, HEATED & VENTILATED FRONT SEATS.